This sophisticated men's watch boasts a round gold-plated stainless steel case and a smooth grey dial that reflects the modern design. The hardlex watch glass provides both a strong protection for the dial, and provides a crystal clear view. 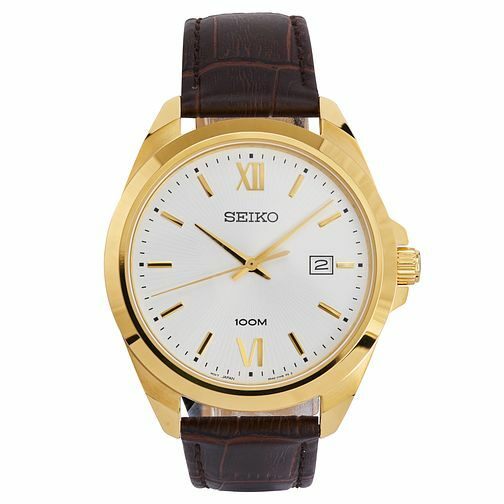 In addition to featuring a date window, and with a water resistance of up to 100 metres, this Seiko timepiece is finished with a brown leather strap that gives it a comfortable and fashionable finish.